Cam has a background in tourism and whilst has had experience in brewing, distilling was a new direction but definitely his passion. The creation of one of the first food and drink tours in Tasmania over 15 years ago by Cam’s company TasVacations which included Cascade Brewery and Lark Distillery started a long friendship with Bill Lark and Mark Nicholson from Lark Distillery. This connection with Lark and the inspiration that flowed from their success at making great whisky allowed the dream of a distillery to flourish. Suzy and Cam really thought someone, anyone, would say that our idea of building a distillery was crazy, but everyone they spoke to were incredibly supportive including many of the existing Tasmanian distilleries (there were only 7 back then!). Serious planning commenced with a development application lodged with the council in July 2015. 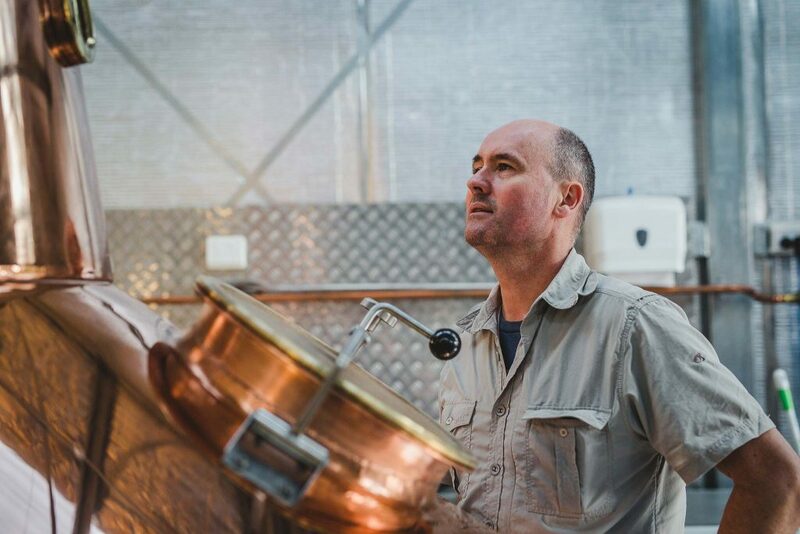 Whilst waiting for their Development Application with the council to be processed and approved, Cam & Suzy undertook the Distillery School at Redlands Distillery and continued to work with Redlands to manufacture Spring Bay Distillery’s first batches. A life changing trip to Scotland with Bill Lark, Mark Nicholson and a group of likeminded enthusiasts visiting 23 distilleries in 15 days inspired the direction of a unique Tasmanian whisky influenced by its maritime terroir. Spring Bay on Tasmania’s pristine east coast is situated on latitude minus 42.5 degrees south. Spring Bay’s cool temperate coastal environment produces some of Australia’s finest seafood and cool climate wines. A perfect place to mature whisky, and for that whisky to take on the briny characteristics of its home. The influence of Spring Bay’s ‘terroir’ occurs mainly through the water used in the distillery. The location of the distillery is less than 500 metres from Spring Bay. Most afternoons sea mist drifts up the valley and falls on the roof of the distillery. This sea salt is then washed by the rain into stainless steel rainwater tanks, then makes its way through a charcoal filtration system removing all contaminants except this small amount of sea salt. This sea salt influenced rainwater is beautifully soft and sweet and is used for cutting back the spirit to its desired bottling strength. 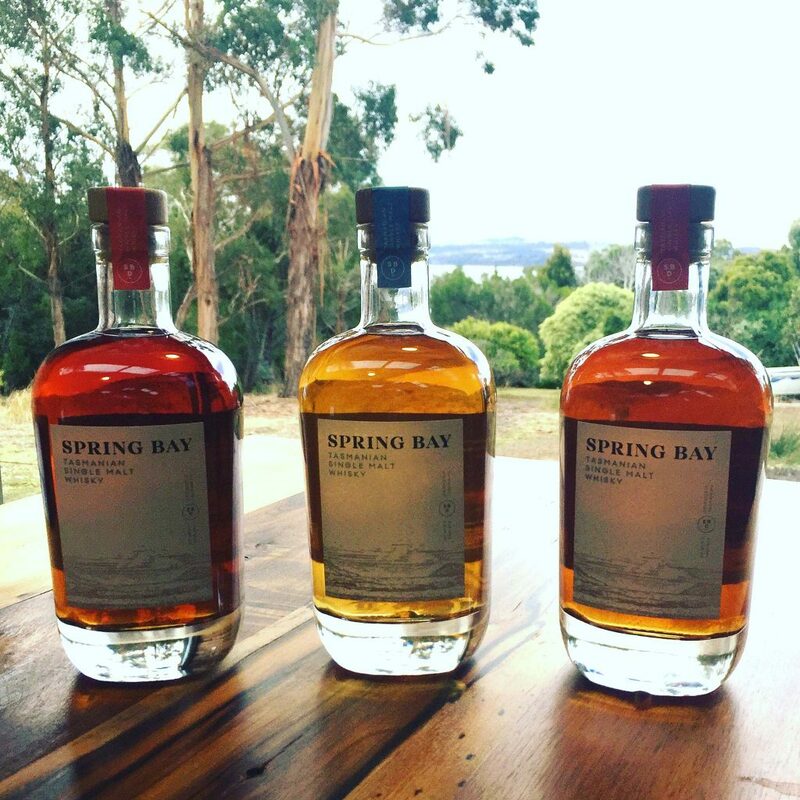 This is what makes Spring Bay single malt uniquely Tasmanian.